MS Overview | SO I HAVE MS...now what? 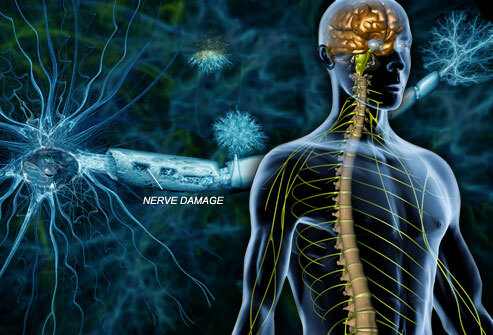 Multiple Sclerosis (MS) is a chronic neurological disorder that affects the central nervous system, (CNS) composed of the brain and spinal cord. In the CNS, nerve fibers or axons are surrounded by a layer of insulation called myelin. Myelin allows nerve signals to travel properly. In MS, the myelin is destroyed (demyelination) in the brain and spinal cord. The scarring, located at multiple sites in the CNS, disrupts transmission of messages that communicate a desired action from the brain, through the spinal cord, to various parts of the body. The inflammation produced by MS damages the axons themselves and can cause permanent loss of function. In the process, the cells that produce myelin can also be damaged. This limits the ability of the brain to repair damaged myelin. An example would be a frayed electrical cord. The insulation assures that the electricity running along the wire reaches its destination without short-circuiting. In MS, the transmission along the nerve fibers “short-circuits,” becoming faulty or absent, not allowing clear messages to be received. This can cause problems with vision, coordination, sensation in the limbs, and other symptoms. Relapsing-Remitting: Clearly defined attacks lasting from days to weeks, with full recovery or with some remaining neurological symptoms and deficits upon recovery. Periods between relapses are stable and absent of disease progression. This is by far the most common form of the disease. Secondary-Progressive: Begins initially with a relapsing-remitting course that becomes consistently progressive and includes occasional relapses and minor remission. Deficits are accumulated without recovery between attacks. Primary-Progressive: Progression of level of disability from the onset without any distinct relapses of remissions. Temporary, minor improvements may be experienced. Neurologist today recommend once diagnosed, get on a DMT (Disease Modifying Treatment) to slow/halt Multiple Sclerosis. You deserve just that. When I was diagnosed, there were only three DMT’s…I think I’m aging myself here…today there are ten. Options, Advancements, Hope. Find that DMT that your body will respond to. That cure is a coming! Stay tuned! I’ll provide a list of choices next.